New findings have revealed what many unappreciated people have suspected for years: bosses literally have no idea what staff are up to all day. 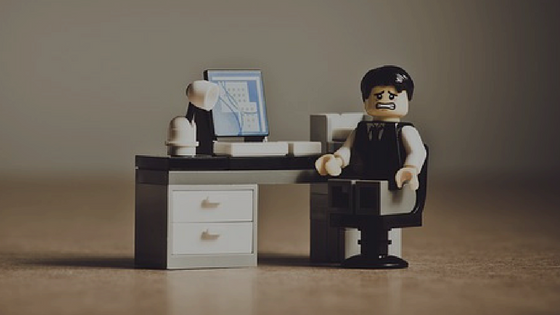 A poll of 2,000 workers by Perkbox discovered almost one in three feel their managers are completely oblivious when it comes to the work they do every single day; with one third feeling their hard efforts goes unrecognised. And matters get even more worrying from there. The study showed how 41 per cent felt their boss would be incapable of completing even one day’s work in their job, while over one third reckon their boss is grossly overpaid for the work they do. Although having an average of four conversations a day with their line manager, employees reported that they don’t often get an opportunity to talk about their professional future, averaging a mere three conversations annually about career prospects. One fifth of employees don’t think their boss is understanding or empathetic, with a quarter actually stating their manager is unconcerned about their well-being at work. One fifth revealed that their manager has made negative remarks about co-workers. In fact, 17 per cent would describe their supervisor as ‘clueless’ about their feelings. Three out of 10 admit they get on with their boss, however just in a professional sense. What can be done to ensure the relationship remains amicable, respectful and productive? Almost half of employees would just like to be informed when they’ve done a job well which should be easy enough for any workplace to put in place.